Money in first grade is easier to learn the penny and nickel and other values. Learning Money and the value of coins can be hard for many kids. When I was younger it always made me mad that the smaller dime was worth more than the heavier and bigger nickel and penny. For some reason it was difficult for me to realize that the size and weight do not matter. Later on I got over that problem but it took me a lot of practice to remember it. When I made the first money video for the second grade I wanted to teach just this concept by showing a rock and a ring. Most kids after asking them had no problem in telling me which was the heaviest and which was the lightest. When you ask the kids which is worth more many of them say the ring is worth more and I think that is because they were taught at some point that moms jewelry was expensive and you cannot play with it or lose it but a rock can be played with (not thrown through windows mind you). 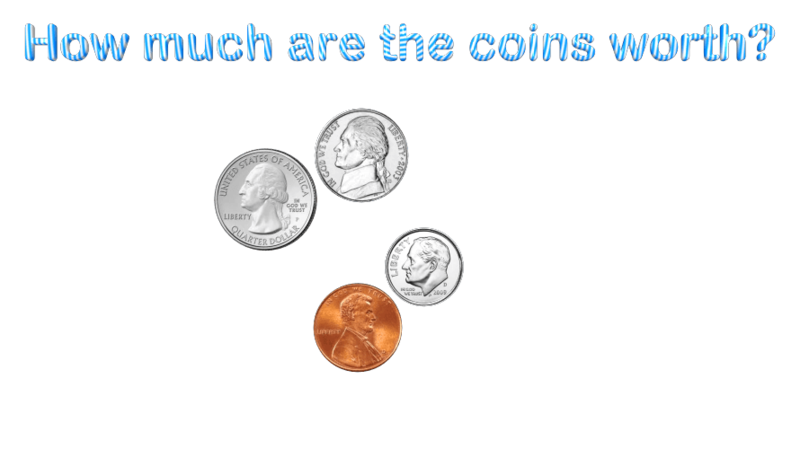 We will have a money video for the first grade on two coins, the penny and the dime. The video does not use the rock and the ring but I wanted to make a video on just two coins at a time for first graders to get them used to them before they move on to bigger values. Look for the video coming soon in our First Grade videos. P.S. A tip for teachers when you teach the coin values is to help kids associate something with each coin. For example have things they can “buy” with some coins and you can have some small items worth a penny and bigger items worth a nickel and go bigger as they go up so the kids can see how each coin has a different value. The bigger the value of the coin the better prize you can buy. You can call it the Teachers Store or something more creative.